FRP septic tank is a device specially designed for treating domestic sewage by using synthetic resin as a matrix and glass fiber reinforced material. 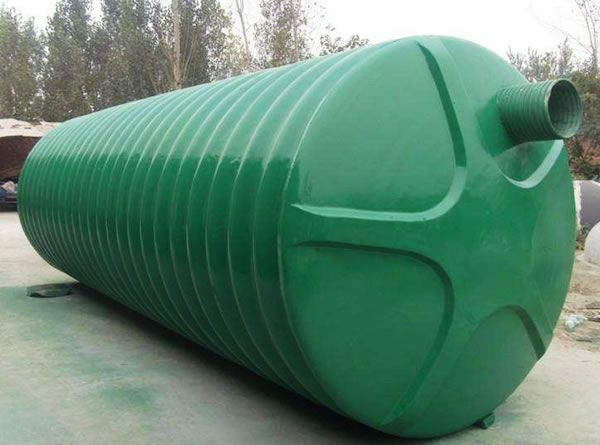 FRP septic tank is a positively promoted composite material with the advantages of lightweight, high strength, good toughness, corrosion resistance, bright color, and smooth finish. So in the installation is the bottom of the FRP septic tank or not? The FRP septic tank is placed on the cushion layer during installation so that the bottom of the FRP septic tank and the FRP septic tank are integrated as a whole. If there is a collapse, it will be an overall collapse, and there is no damaging torque on the whole FRP septic tank. It is recommended to make a cushion so that the service life of the FRP septic tank is a safeguard. So what should the FRP septic tank notice when doing the basic construction work? 2, patiently remove the large sharp-edged masonry or hard debris contained in the sand, so as not to scratch the FRP septic tank; 3, landfill requires leveling and compaction. Be sure to pay attention to the weather before installation. If there is an abnormal situation in the weather, the whole installation will be affected, because it is necessary to dig the pit during installation. Once the water is in the area, it will cause a lot of trouble. Secondly, the balance problem that needs to be noticed during the installation process is the balance of the entire equipment we install. Otherwise, one party will be affected during the use process, which is very important for the project. 3. When installing some construction sites, choose the weather, the weather forecast budget, and the installation of the outdoor engineering FRP septic tank is an important part, and it is necessary to dig a deep pit, in case of It is easy to accumulate water when it rains. Although we do a lot of drainage work, it will affect the whole construction process.